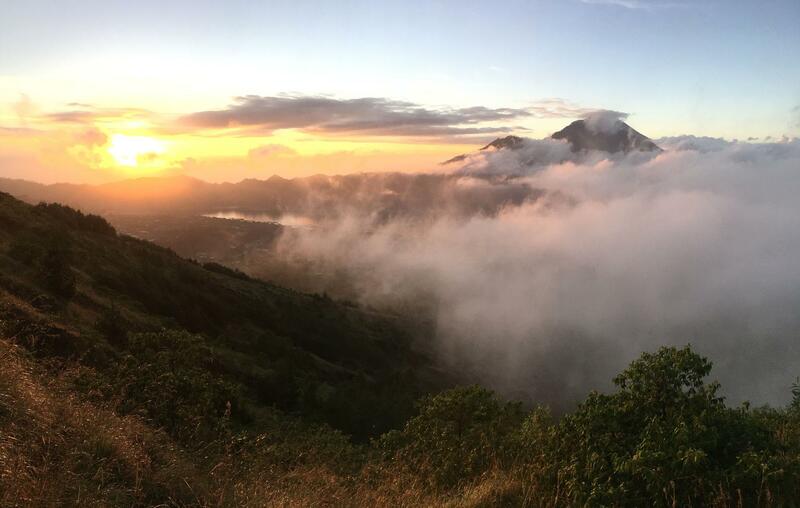 Mount Batur volcano is an active volcano located in Batur village, Kintamani District, Bali, Indonesia which been erupted in 1849, 1888, 1904, 1905, 1921, 1926, 1963, 1968 1974 and 2000. For the height of 1717m above sea level can be summit by physically fit hikers in around 2 hours. 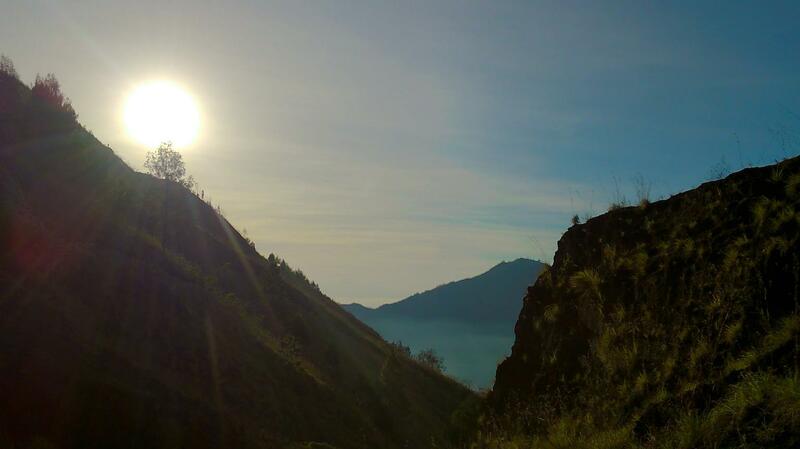 Mount Batur is one of the sacred mountains according to Hindu believe which draws tourists in beauty and adventure Tours. 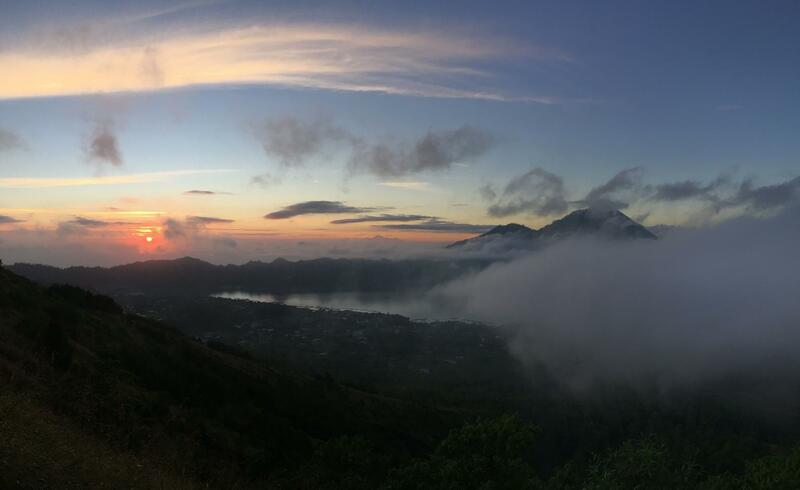 We offers Mount Batur hiking tour to enjoy an unforgettable sunrise from the top of an active volcano with their beautiful lake. Spectacular scenery will fill your mind and soul as you served by tasty morning breakfast cooked by the steam of the active volcano. The active volcano in Bali where we will do hiking to see the majestic view of sunrise on the top of mount Abang. Visit Bali tropical climate plantation to see their agricultural product including the processes of Luwak Bali Coffee and taste it. The drier starting point to pick up all of the customer. Everyone got a story to tell, and different experiences that have been faced. 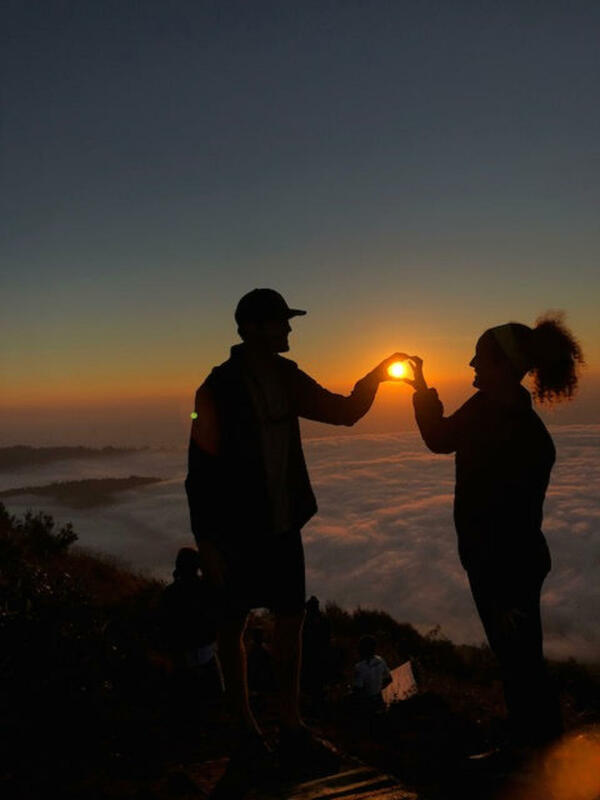 Not only from our point of view, these travellers review about Mount Batur Sunrise Hiking And Coffee Plantation Tour attraction is here to help us earn your trust. Naris and Nadi were great guides for the morning hike up Mt Batur! They were such entertaining conversationalists in English they had us laughing the whole trek! Be prepared to get dusty from the volcanic dirt path. The driver was very prompt at picking us up on time at our hotel. Side Note: this company utilizes WhatsApp to call/text when coordinating drop off/pick up, so be sure to download the app before you leave your country of origin. Would highly recommend this experience, particularly with these two guides! We absolutely loved this experience from beginning to end! 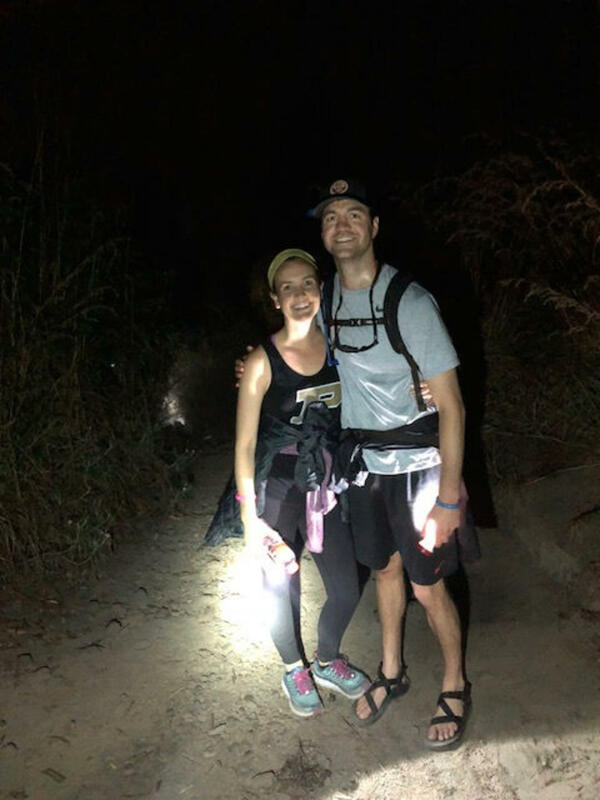 Our driver picked us up from our homestay in Ubud around 2:30 a.m. and drove us about an hour to the spot you start the hike. It's an early wake-up call, but you can sleep on the way for sure. I'd also recommend eating breakfast on your way there. You get it at the top of the mountain too, but that's several hours later. We then met out hike guide, and he was absolutely wonderful as well. The hike is very challenging, but definitely doable. We are in decent shape, but certainly not fitness experts. We got a great workout, and we were very happy to have the couple hour break at the top of mountain. I'd definitely recommend good running or hiking shoes, and a sweatshirt/jacket you can take off. It's colder at the top, but you'll be hot during the hike. The bugs weren't bad at all. Watching the sunrise was incredible, and the guides are so much fun! They were so great about taking all sorts of awesome pictures that we never would have thought of. Getting back down is just as much of an adventure. It's pretty challenging, and you should take your time or you'll slip and fall a lot. The coffee plantation tour at Satria after was so worth it, too! We loved having that after the early morning. Our driver was Nengah. We would HIGHLY recommend him! He was such a delight and drove us to several other stops after the coffee plantation. You won't regret this adventure at all! One of, if not, our favorite parts of this amazing vacation! I was in a group tour, there were five persons in our group. Our driver Mr. Nengah is polite and friendly, he reached my hotel on time at 1 am. On the way he explained and advice good tips about the hiking conditions. Everyone has different stamina but our guide Kadek is young and energetic, he is very thoughtful and helped me through out in this hiking trip. Will definitely go for this hiking tour next time, it was memorable and scenic. What an amazing experience!! Our driver picked us up at 1:30am an hour earlier than expected, so make sure to verify the time prior via whatsapp. The ride up there wasn't too long and our group mostly slept. 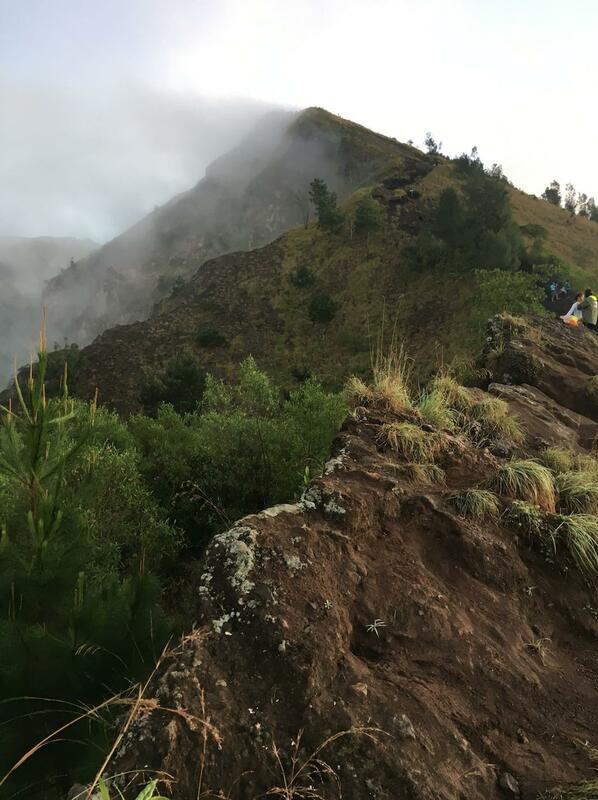 Once you get to the foot of the mountain you meet your two guides - we had Kadek and Wayan and they were fun and spoke great English and kept our spirit up when the hike got a bit rough. Speaking of which, it is NOT an easy hike. I'd sad medium to high level. This is because it is very hard to see they provide flashlights and the ground isn't very set as its a mix of sand and rocks. Once you make it up to the top there are several breaks along the way the view is absolutely to die for and it make it all worth it plus you get a warm breakfast and there is warm tea and coffee to great you : I would HIGHLY recommend this hike!! Incredible experience with a wonderful guide!! Must do. Everything was fantastic and Naris our guide was so energetic and encouraging and set us up with the best spot to watch the sunrise over the lake and volcanoes. Excellent English and conversation. The coffee plantation stop was a bit uninformative and more of a pressure sales tactic but still worth the stop. Only caution, this is more than a moderate hike, very vertical on a lot of loose footing. Great Experienced! 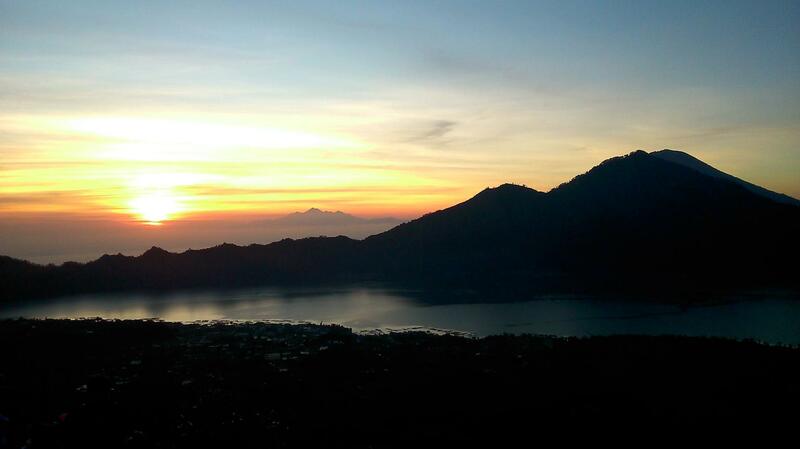 From 1.30am hotel pick up by MR Budi Very Friendly and informative , to the challenging hike and climb of Mount Batur! Breathtaking views at the top! Fantastic 19yr old young man guide named Kadek, he always make sure everyone are safe. Highly Recommended! A very nice trip. Well, it is surely tough and my legs are still aching even though two days have passed. The route is tough and some part of it could be dangerous, so tourists need to be mentally prepared. After half way through the journey, I was regretting that I booked this trip. However, when you reach the top and reflect the way and have seen the magnificent view, you will realise that it is worth it! Will recommend to people who loves adventure and it physically fit. You need to take care of your knees. Very hard hike but we had a wonderful guide. He let us take as many breaks as we needed and he was very experienced. He took pictures for us and was always smiling and answered all sorts of questions. He definatly made the hike up easier. Down was faster but easier just had to be very carful not to twist an ankle because theres is a lot of loose and very steep rocks. Loving the adventure, especially with a friendly young guide Kaded. Very patience and friendly, taking care of us with his very simple english. All around great. Guides were fun, knowledgeable, spoke great english, and let us set a fast pace. I had a blast. I wish there was better communication regarding day off/pick up, but otherwise it was great. The Mt. 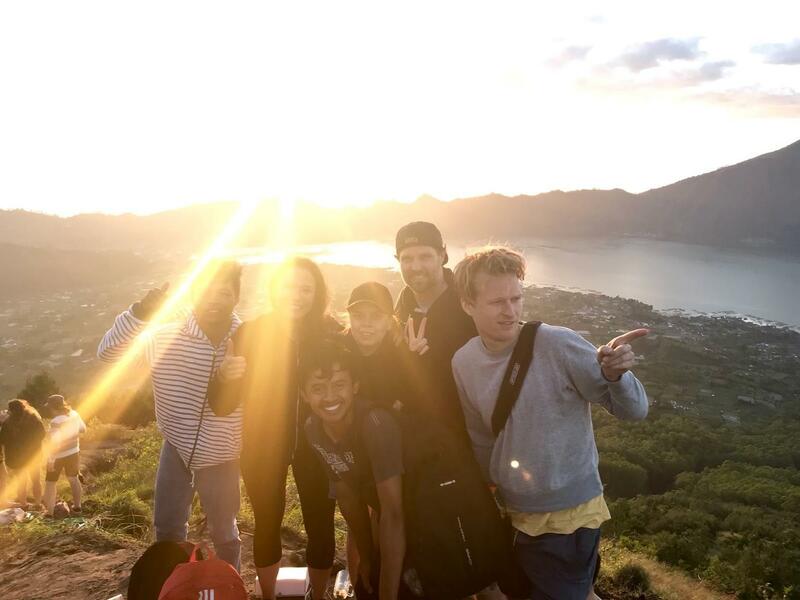 Batur Sunrise Hiking was amazing, just like everyone is saying it is. There was ALOT of people hiking up this thing who should not have been there. You, in the keds sneakers and the older woman with the bad knee, not to mention the 28 year old who had a hangover and vomitted after the 1st ascent was reached. These are the people you have to manuver around in the dark of night on a slippery small pebble foot path. You want to reach the summit for the sunrise but you have to go around these numbskulls to reach it in time so your patience might wear thin after the 1st hour or so. Make sure to pack a warm layer and a windproof layer for the top which can be windy and chilly while waiting for the sun to rise. Amazing!! Our guide was great and took us up a quieter route, then found a place we could sit to watch the sunrise. We then trekked around to view the other lesser craters and cooked bananas in a steam hole. The view was incredible, probably one of the best days we had on our trip. 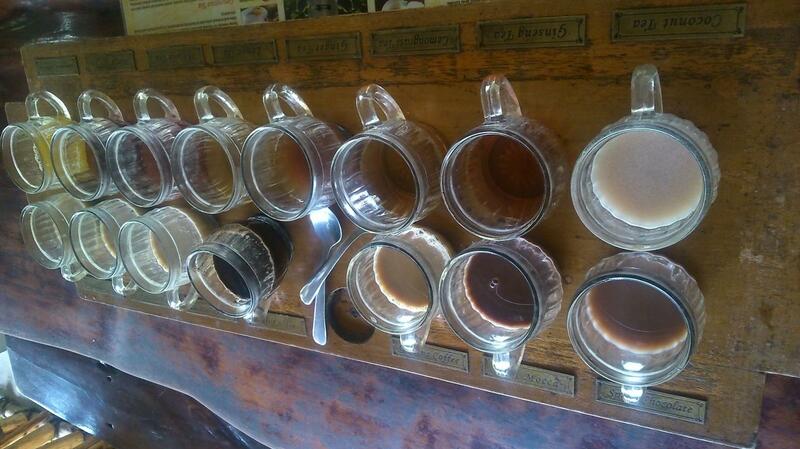 The visit to the coffee plantation afterwards was also nice, a big selection of tea/coffee to taste. Wow. Just fantastic. Our guides Wayan and Ayu were fully focused on making this a special experience and it was. So worth the early start and climb. 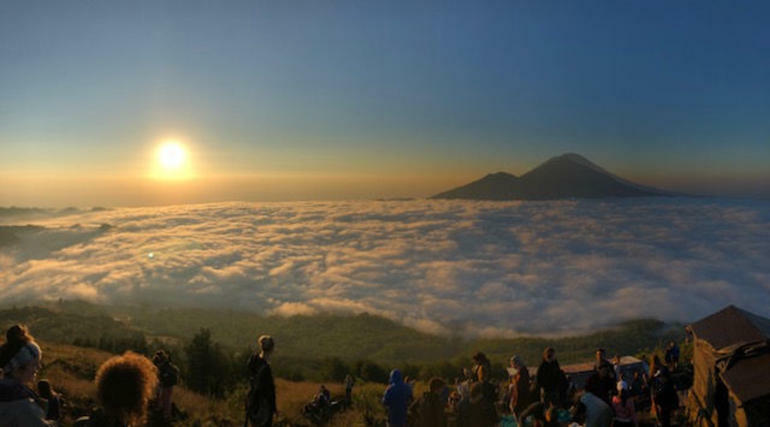 Breakfast cooked over the steam vents atop Mt Batur and then sharing with the monkey group at sunrise was a real highlight. Wow wow wow. Great driver, showed up on time (1:30 a.m.) He was very professional and a lot of fun. the guide for the hike was wonderful, he made a delicious breakfast in the caldera. The hike is rugged but the sunrise is not to be missed. One of the coolest things I've done. I highly recommend using this service if you want to go on a tour of Mt Batur. Our tour guide and driver for the day, Gusti Bawana from Tour Bali Driver made all the arrangements for us, including picking us up from and returning us to our hotel. Not only did they make all the arrangements for us to climb the mountain, but Gusti also drove us to a coffee plantation afterwards and to a temple. He was extremely knowledgeable and a great guide to have along the way. 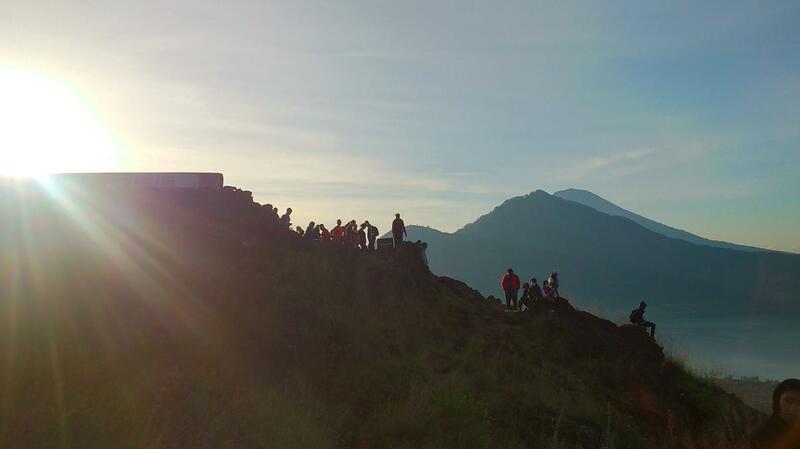 The climb up Mt Batur itself was amazing. It's a bit of a distance but well worth the view you won't be disappointed. There were even monkeys hanging around as we all made our way back down the mountain so we stopped to take pictures with them and feed them. 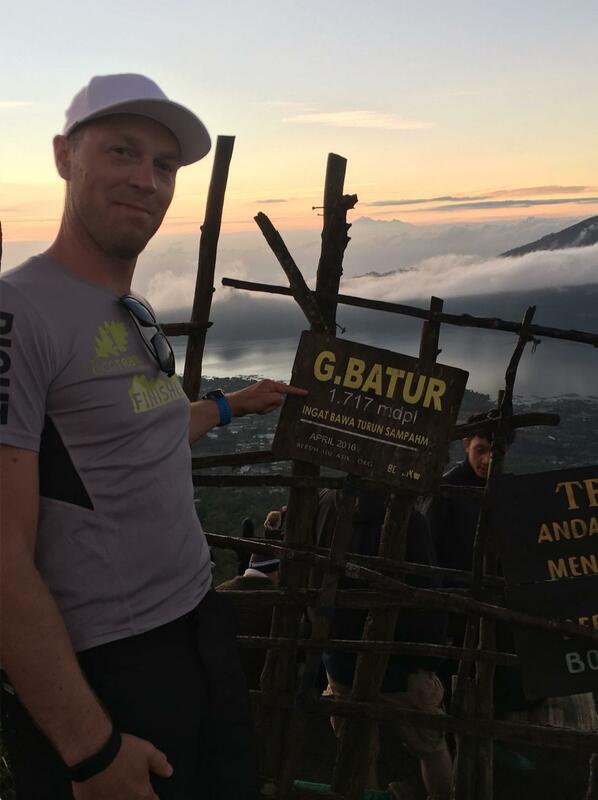 The next time I visit Bali I intend on using this same tour service and requesting Gusti as my tour guide. We had an amazing experience with the guide (Margot), and the boss of him was also very helpful and professional. They really care about their customers and we highly recommend this tour package and the guide, we sure you'll have a good time. 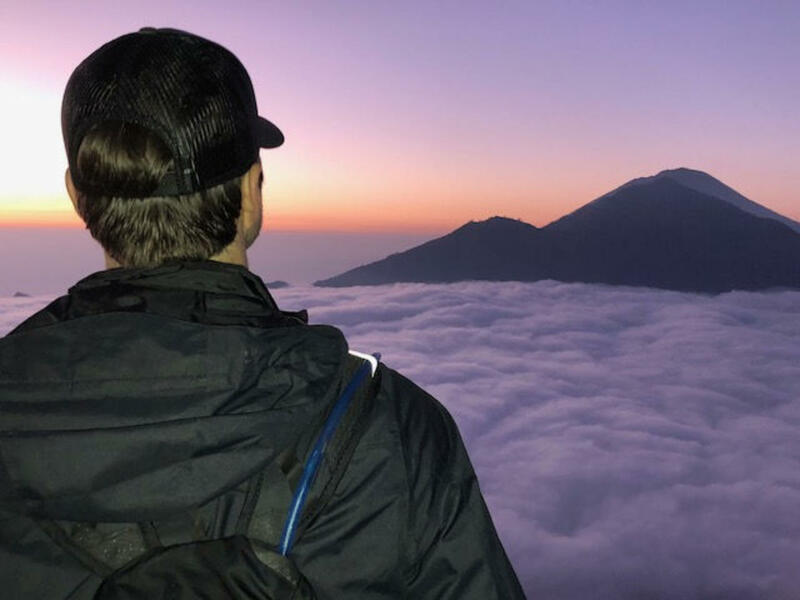 Amazing adventure from 1am hotel pick up to the challenging hike and climb and the ultimately breathtaking sunrise view from the atop Mt Batur. Incredible 19yr old young man guide named Hadek (I might have spelt it wrong). The drivers and guide for the hike were excellent - very friendly and accommodating. We had no issue with pick up/drop off even though our hotel was quite remote 3hrs from the mountain. Unfortunately the timing of the ascent wasn't great - our group reached the top about 90 minutes before sunrise and we were freezing cold! Should've left later in the morning. I was surprised at the number of people hiking - the mountain was packed! The guides do a great job of setting everyone up for a view of the sunset. No one really got in each others way of the view. Unfortunately, we hiked on a cloudy day, so didn't see a sunrise at all. Finally, the stop at the coffee plantation was really nice. Beautiful plantation and lots of coffee and tea for tasting.